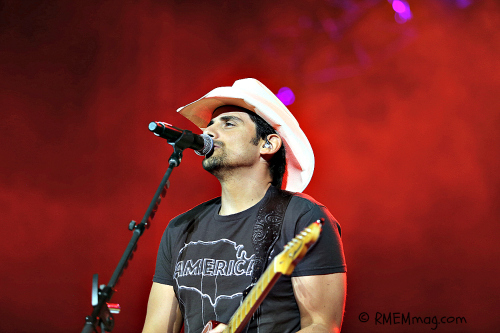 Brad Paisley was at the top of his game during his performance at Cheyenne Frontier Days. The show had it all... Great vocals, great entertainment at a great venue with great weather. What more could you ask for? How bout some extroadinary visuals, pitch perfect vocals, mad-skill guitar playing and Brad's humor throughout the entire night. He put it all out there and the crowd LOVED it! 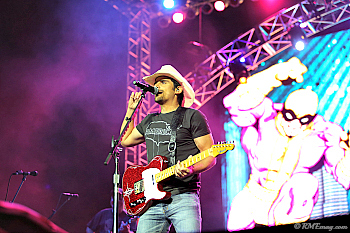 He is one helluva entertainer who really goes out of his way to make a connection with the audience. The man has energy and charisma, and of course, great talent. 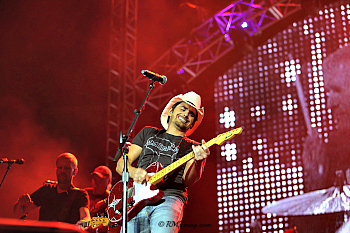 He is very interactive with the audience and there is no limit to the depth and ambition of his songs. Throughout the whole night he had the crowd in the palm of his hand. When a fan threw a bra with a one dollar bill pinned to it up on stage he made us laugh by telling the fan that he appreciated the money but he was already getting paid for performing. 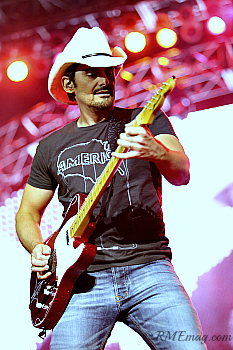 In a more serious moment the entire audience was touched when he signed a guitar and handed it to a little girl in the crowd. It was a night she will never forget and I think that's Brad's higher purpose. He wants us all to have that moment, that night we will never forget, and after his incredible performance and all the hits he played I say mission accomplished! The show started and ended strong. It's definitely a performance not to be missed! 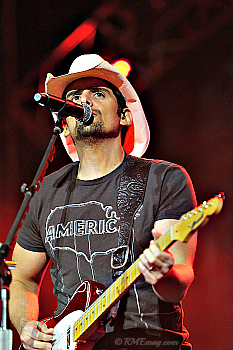 Visit Brad Paisley's Official Website for more info and to find a tour date near you!